Ferns-St Aidans club man and 1996 All-Ireland winner, Eamonn Scallan, will take charge of the Wicklow Senior hurlers. In recent times, Scallan managed the Wexford county minor squads and the Mount Leinster Rangers (Carlow) Senior club team, but this will be his first step into senior inter-county management. Wicklow GAA are delighted to announce Eamonn Scallan as the new Wicklow Hurling Manager. Eamonn has extensive experience, winning Leinster Championships and an All-Ireland medal with Wexford. He will bring huge enthusiasm to the role. Best wishes to Eamonn Scallan in his new managerial role. 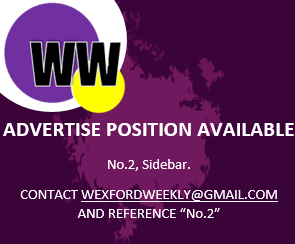 If you’re looking to advertise with Wexford Weekly, please email us at wexfordweekly@gmail.com or check out our competitive rates here. Next PostNext Early Stages: Who’s Called Into The Wexford Senior Panel & Who’s Gone?